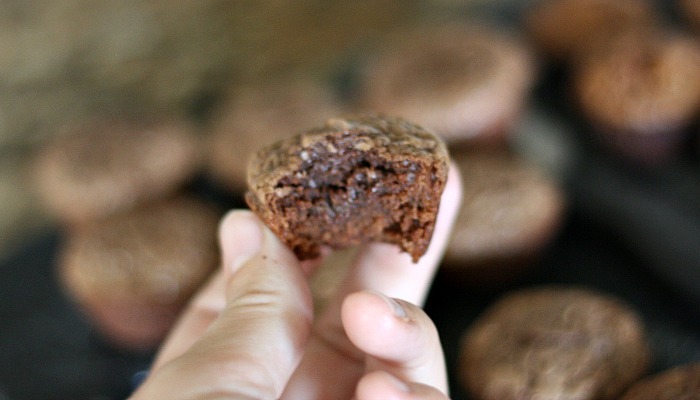 These brownie bites are so awesome! 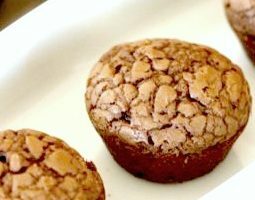 They are made with real ingredients and can be frozen for those moments when I am hungry and want to make a whole pan of brownies. I always have hopes that when I make a pan of brownies I will only eat one, but that NEVER happens. I mean… it would be a shame to let all that chocolaty goodness go to waste. Tell me I’m not the only one who has had brownie cereal the next day? Well, these brownie bites fix that problem. I make them ahead of time and then freeze them in a freezer safe ziplock bag. When I am having a chocolate craving I just take one or ten out and reheat. They are so moist and chocolaty! It is another great recipe to add to my growing list of freezer meals. This one fits into the dessert or snack category. I make the simple brownie batter and using this tool I add the batter to a mini cupcake pan. Bake them in a 350 degree oven and in ten minutes I have the perfect little bite sized snack. I just know you are going to LOVE these! 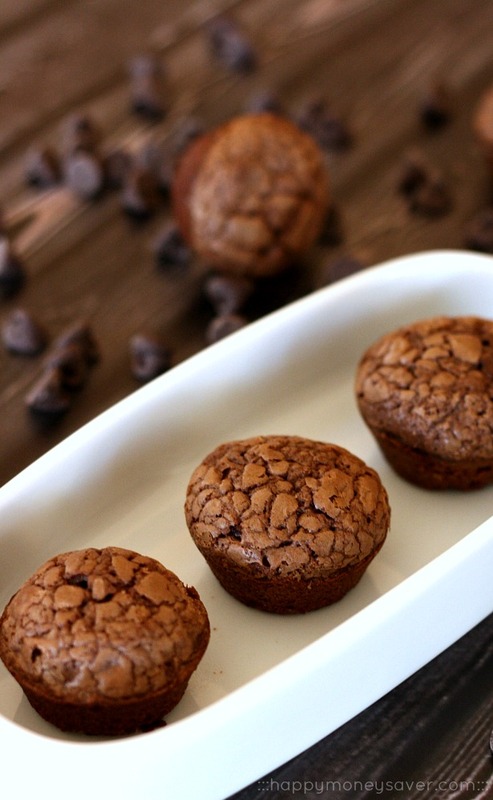 Delicious and mouth poppable freezer friendly brownie bites are perfect for a little bite of sweet anytime. In a small microwave safe bowl, melt butter and chocolate. After melted, add cocoa and stir until well combined. Set aside to cool. In another mixing bowl, whisk eggs until pale yellow in color, about one minute. Add in sugar, vanilla and salt, and stir until combined. Then add cocoa mixture and stir until smooth. Lastly add in flour and mix until combined well. Preheat oven to 350 degrees and lightly grease a mini muffin pan. 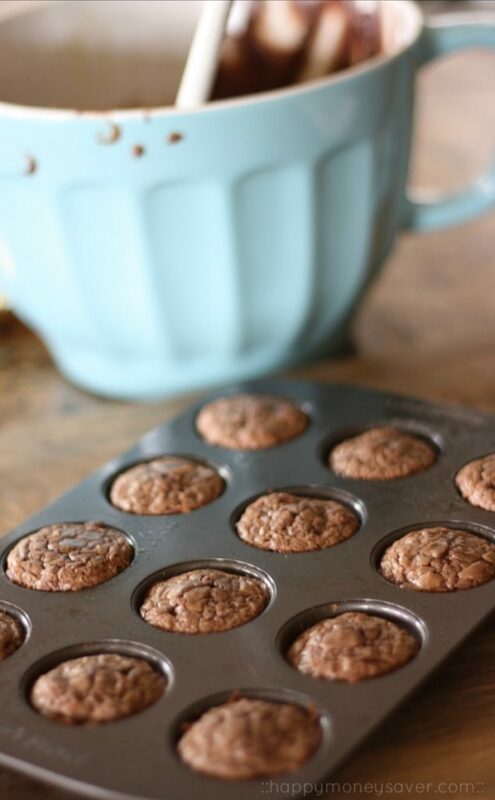 Fill muffin pan 2/3 full and bake in oven for 10 minutes or until toothpick inserted comes out clean. (Note: if using regular muffin pan, bake 30 minutes or until done). Remove from oven and let brownie bites cool for 5 minutes before removing from pan. Serve warm or cool and freeze for later. 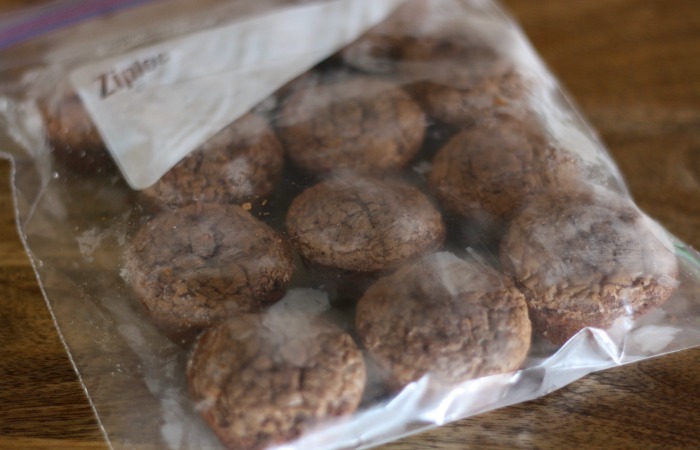 Place cooled brownie bites in labeled gallon sized freezer bag, seal removing air and freeze. To serve later, thaw and serve. Made them as the recipe said with all semi sweet chips, then mixed in crushed mini eggs. Pressed a mini egg into the top of each. Turned out amazing! Just made these bad boys. I can’t wait to sink my teeth into them! You mentioned a tool for filling the muffin cups, but I couldn’t get it. I’ve made these many times, absolutely delicious. My freezer stash was gone, and I was really craving brownies tonight but only had 1/4 C butter. So.. I substituted the rest with 1/4 peanut butter. It worked, and they’re amazing. They had to bake a few minutes longer though. I thought this might be vital information for all you chocolate-peanut butter fans. I’ve made them twice and love them! Any idea why they fall after I take them out of the oven? Thank you.